I hope you're ready for an adventure. Twenty-eight year old Hannah certainly is. She and her colleagues are in Spain for a month to film a documentary, and it's a dream come true. Not least because Hannah will get to spend long summer days with Theo, her boss (and crush). If only Tom (Hannah's best friend and cameramen) and Claudette (the presenter) would stop getting in the way... Then things become even more complicated when Nancy, Hannah's half-sister arrives. What is she doing here? For once in her life, can't Hannah just have one perfect summer, free of any drama? 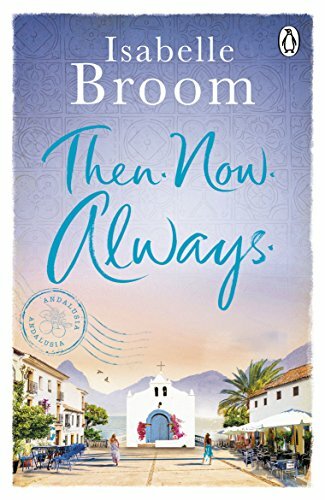 Review: Isabelle Broom's books always make her readers want to travel and this book is no exception. This writer clearly has a gift for describing settings so that they jump right off the page. She describes the sound smells and feels of the Spanish coast so that you can literally feel the eat in the air, the sand between your toes and the kick of the Sangria hitting your veins. This is a definite must for any travel junkies on a budget, just like myself because you will be able to sample all that Spain has to offer in wonder descriptive reality without having to fork out for those plane tickets! Your trip will be courtesy of Hannah and her work colleagues Theo, Tom and Claudette. These characters are written to be just as real as the setting, and whilst I didn't find myself warming to them, I believe that that was a deliberate choice on the part of the writer and so she has clearly done her job. Hannah is really rather self-centred and her tales of her childhood began to wear on me a little after a while, but I loved the storyline that she has about the relationship with her sister, and I really liked the fact that she remained committed to her work despite having many set backs, some of them self-inflicted, whilst she is in Spain. As I mentioned, I didn't warm to many of the other characters but that is because they seem to be out to cause our Heroine as much physical and emotional trouble as possible. 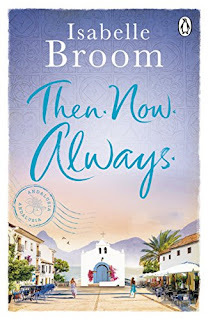 It was sometimes hard to read Hannah trying to carry on with her job, and her life, whilst everything was against her and this sometimes made the book drag for me but overall it was an enjoyable read. The storyline is based around friendship and possible romance. Of course, being Spain, there is an element of holiday romance in there too, which was great fun. This would make an excellent book to take away with you on holiday, but would equally transport you away from the British summer weather if you're not going away this year. You genuinely will feel like you are living the med trip alongside Hannah and Tom!